I am horrible with adopting away dogs. Its heartbreaking and wonderful at the same time. Always scared that something will go wrong, will “he” be loved and taken cared of? Think if they abandon “him”?! Then I get attached to “him” but my head is trying to tell my heart not to be selfish with my feelings, that “he” now can move on and get a better life. Its bittersweet to say the least! Today from Venice came Stewart’s new “dad’ to pick him up and take him home. It was wonderful to see them together, how he talked to Stewart. And finally Stewart was in heaven getting all the attention and love he needs and deserves. The other Great Dane puppy, Morgana also went together with him, to meet her new family– also up north. It was a double good-bye today. Good Luck Stewart and Morgana. AWL thanks Jenifer of Hotel Agora who introduced us to the Great Dane family so we could rescue them. She and her husband also sponsored the medical bills for “mom and dad” Great Dane, Boss and Lady. Martina Ricci, my wonderful animal friend, always there for us and the animals. 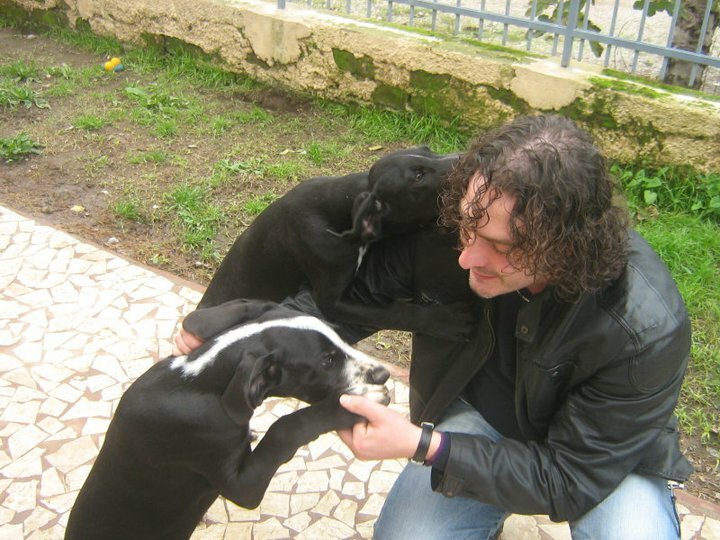 You helped AWL so much by contacting SOS Alani rescue organization, to help with finding homes for the puppies and kept organizing the meetings with Stefania. Stefania of SOS Alani rescue organization a BIG thank you for doing such great work; background checking the families, making sure they are trustworthy and worthy of the love of the dogs. You all have saved so many beautiful Great Danes. You all are fantastic. Team effort, not for ourselves but for the animals. That’s Amore.